Added another image to the 19th century timeline. This one, a print from France’s L’Illustration, features a buccin, or trombone with a bell in the shape of a dragon head (see 1873, below). The instrument apparently saw its creation and heyday in the 19th century (1st half, 2nd half), fizzling out in the 20th century. Kind of a Romantic-era concept. I personally think it would be a real eye-catcher in a marching band. I’ve included all of the other timeline references to the buccin in the listing below, along with the new picture that was posted. Update: I’ve also added, at the very end of this post, an interesting modern performance on a buccin. 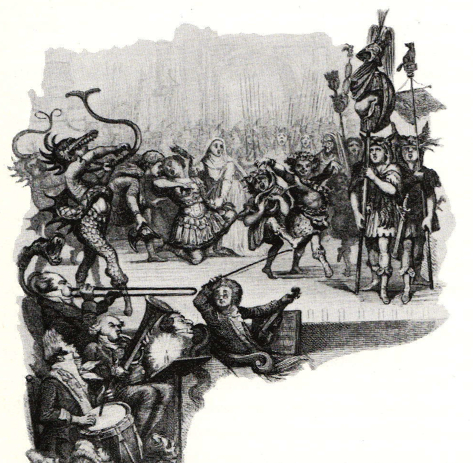 1843—France: A depiction of a theatre orchestra includes a prominently-positioned dragon-bell trombone (buccin). The image is printed in “La Parodie de la Vestale,” Chants et Chansons Populaires de la France II, 1843 (see below image; public domain) (London, British Library; Remnant, Musical Instruments of the West 216). 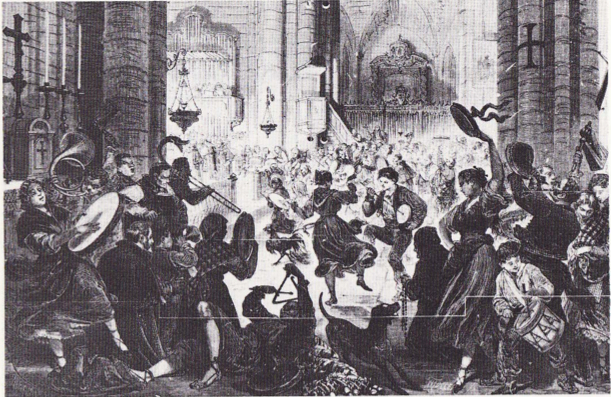 1873—Paris, France: Christmas Eve in a Spanish Church, a print after Miranda appearing in the Paris illustrated newpaper, L’Illustration, features a buccin, or trombone with a bell in the shape of a dragon’s head (see below image; public domain) (L’Illustration, January 4, 1873, pp. 10-11). 1942—Photograph, held in Köln, Germany, of “virtuoso” Paul Kaiser-Reka, playing a “buccin” valve trombone with a dragon-head bell (Kölnisches Stadtmuseum 302). 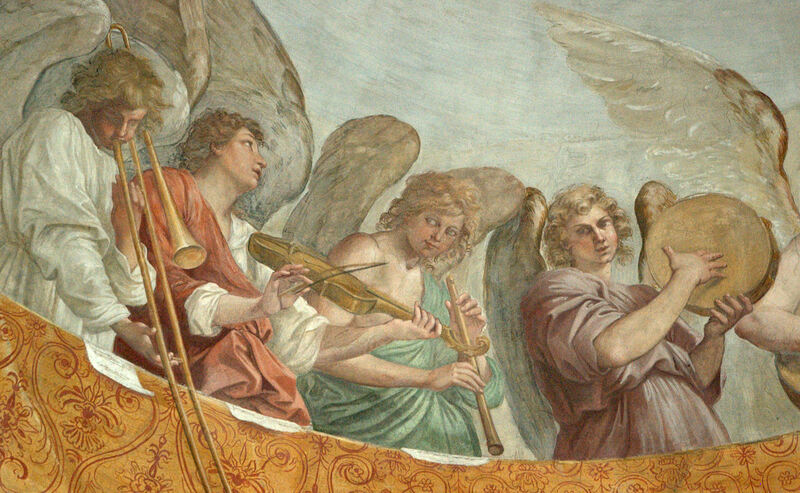 Below is an interesting video clip of a modern buccin performance. Enjoy!